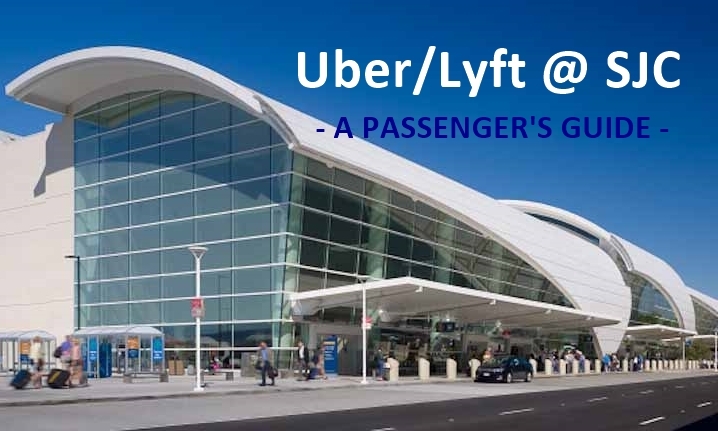 Taking an Uber or Lyft ride is one of the most convenient ways to and from San Francisco International Airport (SFO). 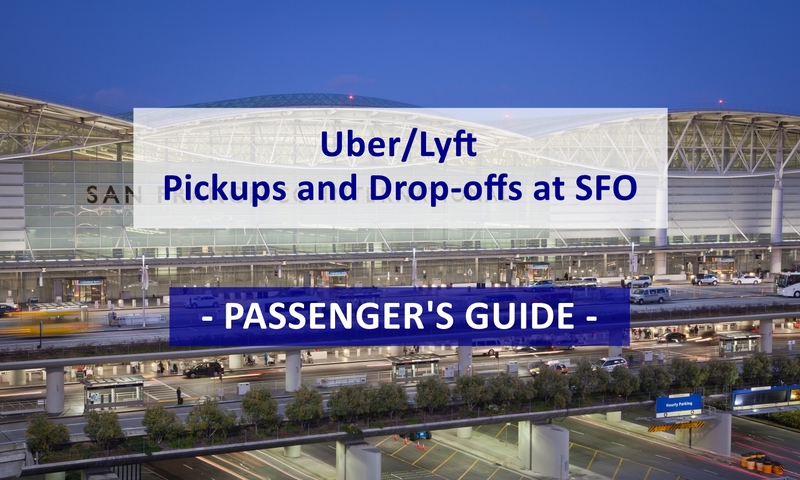 If you are new to rideshare services at SFO, this guide may address most of your questions. 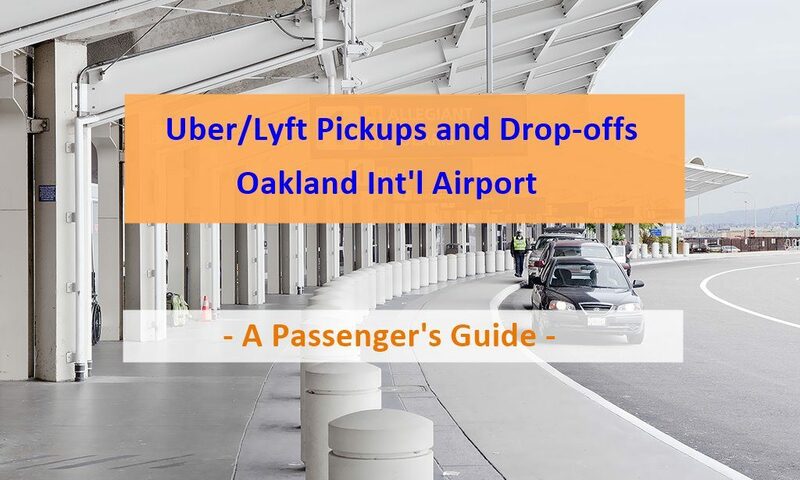 If you’re taking an Uber or Lyft ride to SFO, simply tell your driver the airline you are taking, then you will be dropped off at curbside on the departures level (upper level) in the area serving your airline. Please inform your driver if you are taking an international flight so that your driver can take you directly to the international terminal. UberX or Standard Lyft is the best option for most travelers. With these services, you are not sharing the ride with anyone but still paying a low fare. The driver will take you directly to SFO. This is especially important if you’re on a time constraint. The last thing anyone wants is an unexpected delay on the way to a flight. If you are traveling with a group, you may consider an UberXL, which seats up to four riders. Although it costs more than UberX, it is still a rather low cost option for a group with several pieces of luggage. Alternatively, an UberSUV or Lyft Plus with slightly higher cost can seat up to six passengers and comes with a high-end black vehicle driven by a commercially licensed driver. UberPOOL or Lyft Line is not recommended for trips to the airport. This is because these services work line a van pool and usually take much longer than UberX or Standard Lyft and may experience unexpected delays. The systems match you up with other passengers going in similar directions. Unfortunately, there are may be two or three pickups and drop-offs along the way. This can cause significant delays in your trip to the airport. Unless you have a lot of extra time to spare, avoid taking UberPOOL or Lyft Line to SFO. Most rides are picked up at curbside pickups are on the departures level (not the arrival level). After you have collected your luggage, head to the departures level. When requesting a ride, confirm your terminal and door number when prompted by the app. If you are unsure of your terminal and door number, check the signs posted curbside on the departures level. UberPool and Express Pool rides for domestic terminals are NOT picked up at curbside. Riders must meet their drivers at a designed pickup location. 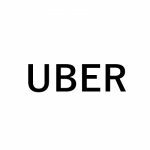 UberPool and Express Pool — Pickup locations are located on Level 5 of the Domestic Garage. From the terminals, walk across the connecting sky-bridges to Level 5 of the Domestic Garage. Please request a ride after you have arrived the garage. Enter your section number (B-Terminal 1, D-Terminal 2, or F-Terminal 3) in your app. All other rides are picked up at curbside. The departures level is located on the second floor. All rides are picked up at curbside. The departures level is located on the third floor. 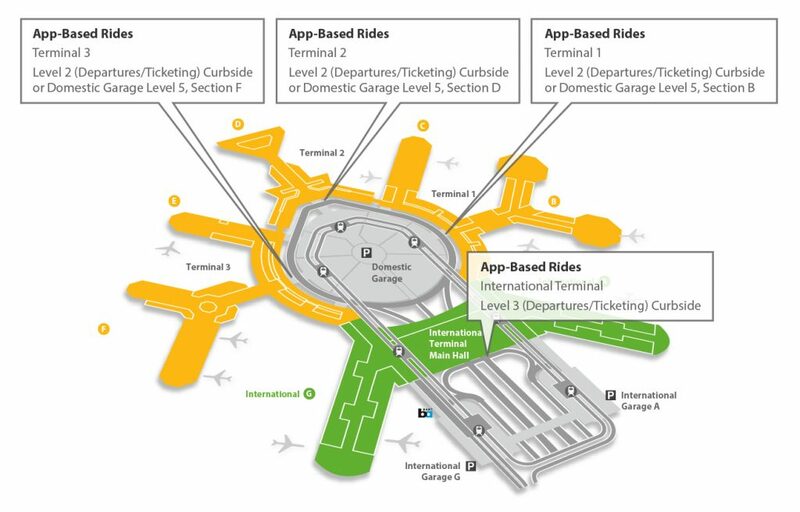 At SFO, all rides are picked up at curbside, except UberPool and Express Pool rides are picked up on Level 5 of Domestic Parking Garage. If the airport is crowded, consider contacting your driver to provide additional information about yourself to help the driver identify you in the crowd. Calling your driver is better than texting because the driver cannot respond to text messages while driving. In the meanwhile, refer to Uber or Lyft app to note the driver’s name and license plate number, and be on the look out for your driver as he or she approaches. San Francisco International Airport occasionally makes changes to pickup locations for app based ride services. For updated information, please visit SFO’s Ground Transportation. Please consider your luggage size when requesting a ride. The following options are available at SFO. UberSUV High-capacity version of UberBlack for up to 6 passengers. 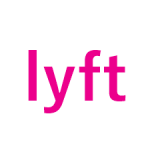 Lyft Plus High-capacity vehicle for up to 6 passengers. Fares to and from SFO vary depending on vehicle options and travel time. Please use Uber Fare Estimator or Lyft app to get a more accurate fare estimate. For all SFO rides, Uber and Lyft also collect a $3.80 drop-off or pickup surcharge. This surcharge will be paid directly to San Francisco International Airport. New to Uber or Lyft? Sign up here to receive up to a discount towards your rides. can I order a pickup for Oakland going to SFO for tomorrow morning, Saturday at 8 am? 1. Open the Uber app, then tap the car-and-clock icon to schedule a ride. 3. Confirm the details of your upcoming trip and tap Schedule. Edit or cancel anytime before your ride. Scheduled rides are subject to the same cancellation policies as on-demand rides. Can you use Uber or Lyft to get a ride to the rental car center instead of taking the tram? If so, is the reverse also possible…can you get a ride to the departure terminal after returning your rental car? Theoretically both trips can be made with Uber or Lyft. However, most drivers would not like such short ($5-6) trips. The majority of drivers spent a long time waiting in queue at SFO. A short trip like this takes them out of the queue. If they want to get matched for another trip out of SFO, they would have to start at the end of the queue. I need to arrange a upcoming ride from SFO to the Chinese Cemetery in Daly City then to the Sheraton Fisherman Wharf. How would I book this? If your stop is longer than 3 minutes, it’s best to request a new ride when you are ready to leave from the cemetery. I Like To Grow Up You rideshareconnection.com Targeted Email Ad Campaign Or Opt-In Target Visitor Introduce For You This Details! Grab 1000’s Of Fresh, Hot Super Targeted Leads From Facebook And Twitter With A Simple Push Of A Button! And Send Them All An Email With A Push Of Another Button – That’s TARGETED Email Advertising That Pays! I see you don’t monetize rideshareconnection.com, don’t waste your traffic, you can earn additional cash every month.